It is week 7 of tutoring, we are sitting in our Atlantis office and thinking, “we have come this far!” Of course, we still have a long way to go but if you think of the time when we first introduced IkamvaYouth to the community of Atlantis in June, presenting to schools and community forums, we had no idea how things would pan out as much as we had tried to plan for everything. 6-7 weeks ago on the 23rd of July 2016, IY Atlantis held its first tutor training/orientation day at IkamvaHouse in Salt River. This was the first time that the Atlantis superheroes met and they immediately hit it off! 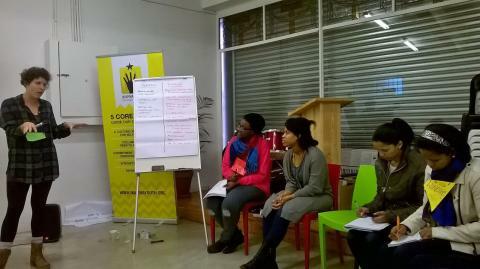 The Community Collaboration Department were the head facilitators for the day, Zoe Mann & Pepe Hendricks, and they hosted the training for the first time IkamvaYouth tutors. The tutoring methodology/pedagogy was the main topic of the day but the Superheroes also had a chance to be introduced to the history, vision & mission, values and the IkamvaYouth Model. Andile Miya, a final year law student from UWC said, “I had no idea, how much detail goes into tutoring. Especially having to balance transferring information without coming across like a teacher and using the right questioning.” After a whole 5 hour training/orientation, the Superheroes were confident to go and begin tutoring the Atlantis Ikamvanites. The day we had been waiting for had arrived, kickoff time! Saturday morning, 10am; it was a lovely sunny day in Atlantis and the Proteus Secondary School Hall was filling up with curious parents and eager learners, ready to hear about the branch. Mr Smith, a science teacher at Proteus Secondary School, welcomed all who were in attendance and urged the parents to hear out what IkamvaYouth had to say. Simone Peinke, our Western Cape District Coordinator, kicked off the programme by sharing a bit of background about IkamvaYouth. Yanga Totyi, the Atlantis Branch Coordinator, talked about the programmes IkamvaYouth offers emphasing the core of the programme which is Tutoring as well as covering the Career guidance and Mentoring aspects of the programme. The audience was then engaged on what the factors they had in mind that will make the programme a success. One of the parents mentioned that commitment from the learner, the parents and IkamvaYouth will make a big contribution, the community is one filled with challenges but all stakeholders should unite in the spirit of making this work! 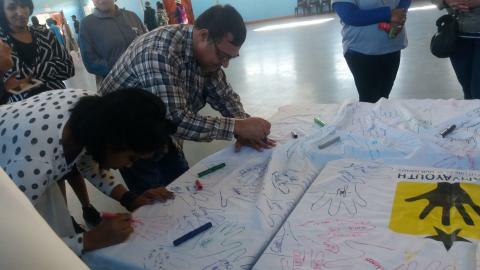 Afterwards, the parents had a chance to sign a pledge poster which will serve as a reminder that WE WILL MAKE IKAMVAYOUTH ATLANTIS WORK! 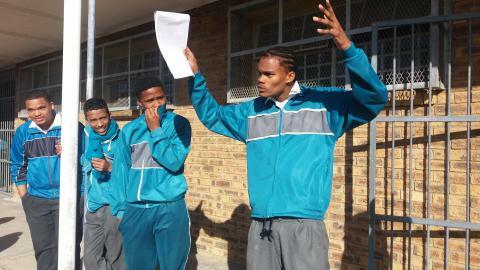 First time Ikamvanites gathered at Proteus High School, eager and ready to begin with this much anticipated programme. Andile Miya, Chante van der Merwe, Namhla Kantolo, Phathiswa Silwana had their capes on, ready to begin with the agenda for the week and finally, it all began. 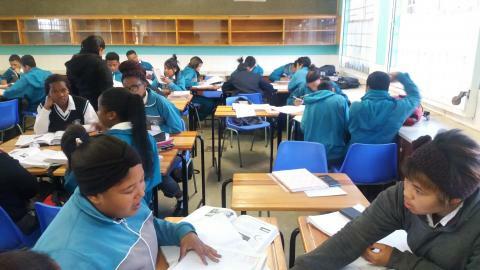 Despite the branch being far from Cape Town, superheroes came to make sure these learners get help. Nerves & excitement are to be expected in the beginning of something new and through all of that, Ikamvanites made it through week one and they were encouraged more than ever to make it work! It’s week 7 and here we are again, ready to begin with another week of tutoring. We look forward to what the week brings and we also look forward to the very first parent meeting on Saturday. Really the Ikamvanites are MAKING IT WORK! 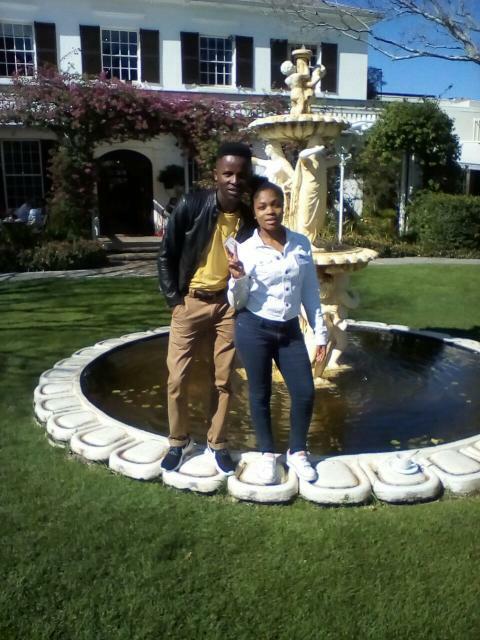 On Saturday, 27th August 2016, we received a surprise visit from one of our Accounting tutors, Nosipho Mjiyakho who works for PricewaterhouseCoopers (PwC). 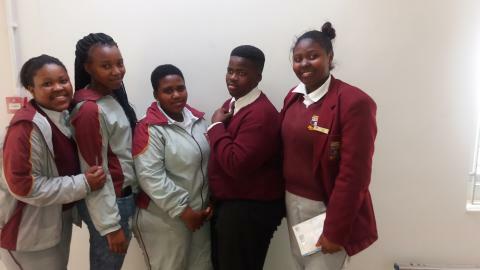 This was not just an ordinary visit, Nosipho was sent by PwC to drop off stationery for all our learners at the branch. This was really exciting news for us as we know that our learners are in need of stationery so we were also excited as staff to share the news with the learners. 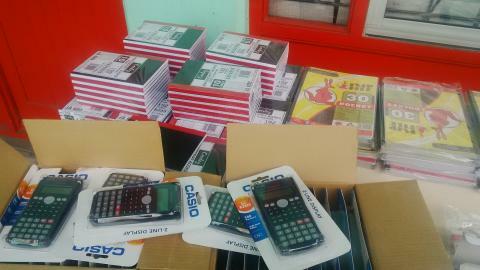 The stationery donation included exercise books, flip files, exam pads, pens, rulers, erasers, pencils and even calculators. We are so grateful to PwC for this gift because it will really be helpful for all our learners. We distributed the stationery packs to our grade 9 and 10 learners on Monday the of 29th of August and to our grade 11 and 12 learners on Tuesday the 30th of August. 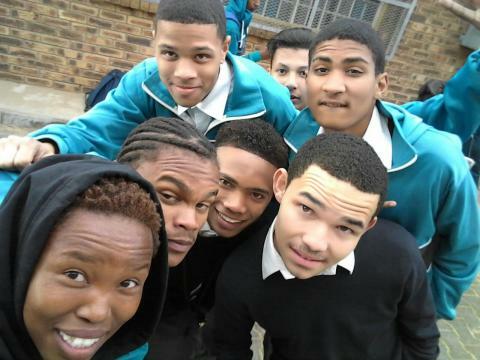 The learners were all smiles after receiving their stationery as this was really unexpected. After the Post Mandela Day Celebration at the branch earlier this month, we did not expect that PwC would come back to the branch so soon. We are really grateful. 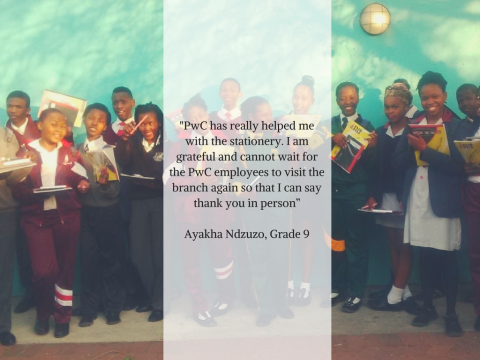 The Nyanga branch is thankful to PwC, its employees and our amazing superhero tutor Nosipho Mjiyakho.